Well spotted and composed with this long focal length. The buckets with flowers are such a nice touch for something one would normally not give a second look. 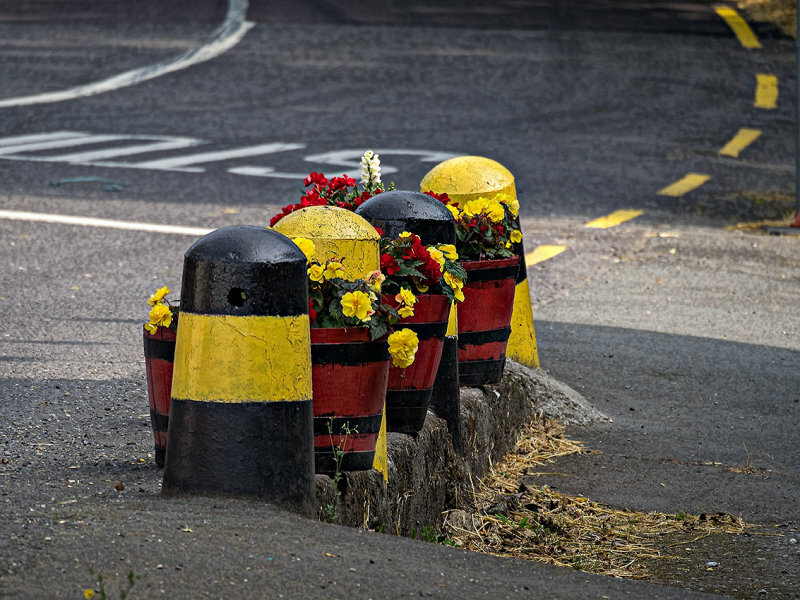 "V"
Protected flower pots...well seen and shot! V.